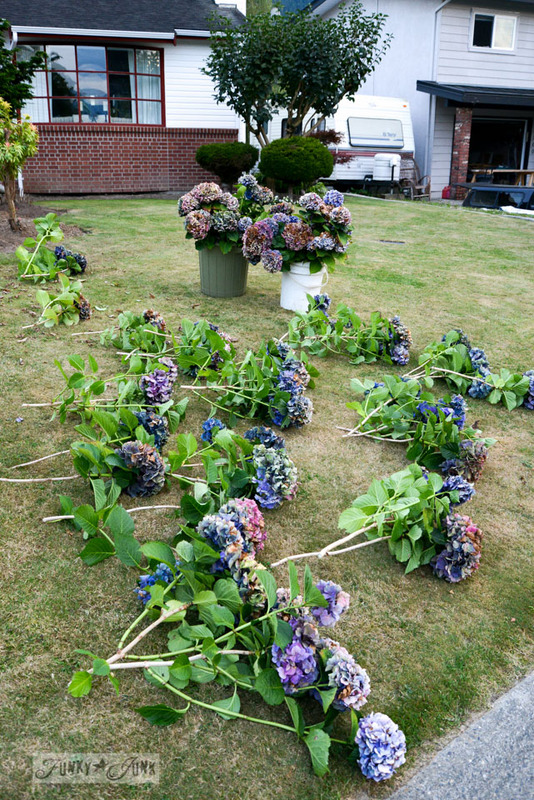 It’s harvesting hydrangeas season! And you know what that means, right? 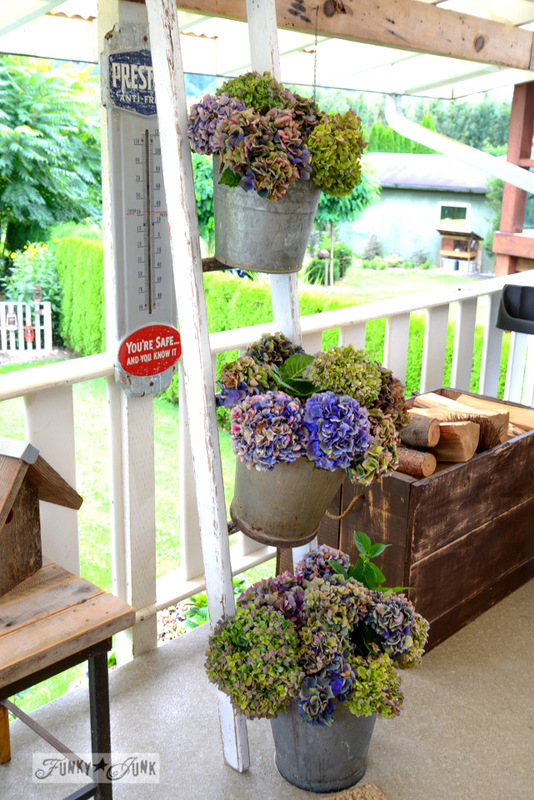 My sad, tired patio landed some forever beautiful buckets of hydrangeas on a ladder. This is what I had moments before. 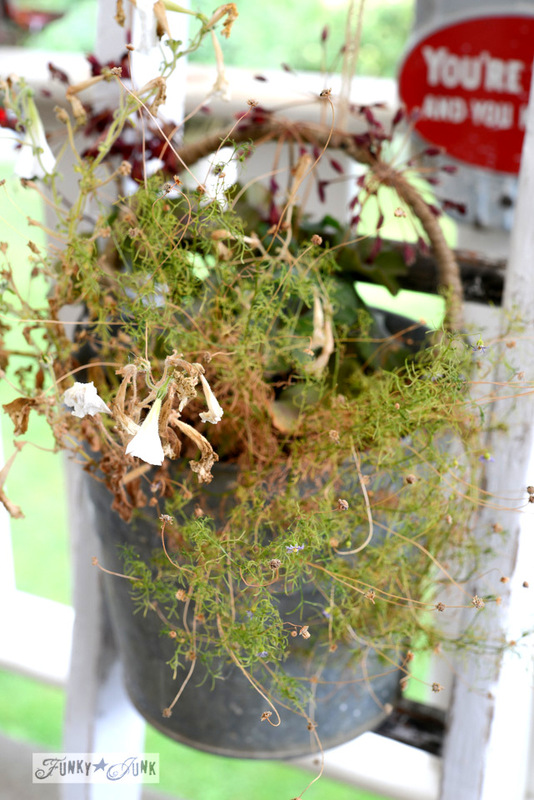 You might say I forgot to care for this bucket of flowers. So I’ve been having coffee each morning on the patio, avoiding looking in this direction. So when I spotted this big prune fest of hydrangeas going on next door, you can bet I put a stop to that right quick! I casually waltzed (sprinted) on over there and asked (begged) if I could have the pruned cuts. I’ve figured out the drill well next door. When Jake and Janette prune, you run. You run fast. 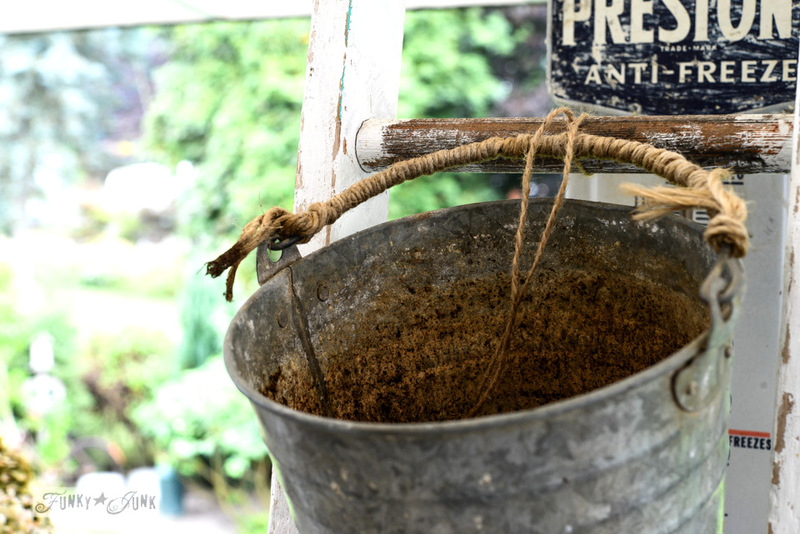 So I grabbed every bucket I had on hand, and filled them with flowers and water. It’s looking pretty grand by my front door right at this moment. I thought I’d take some bunches to the Crafty Affaire Harvest Market on the weekend… and maybe I will. But then the brainstorm hit. My poor patio was about to get a new outfit. 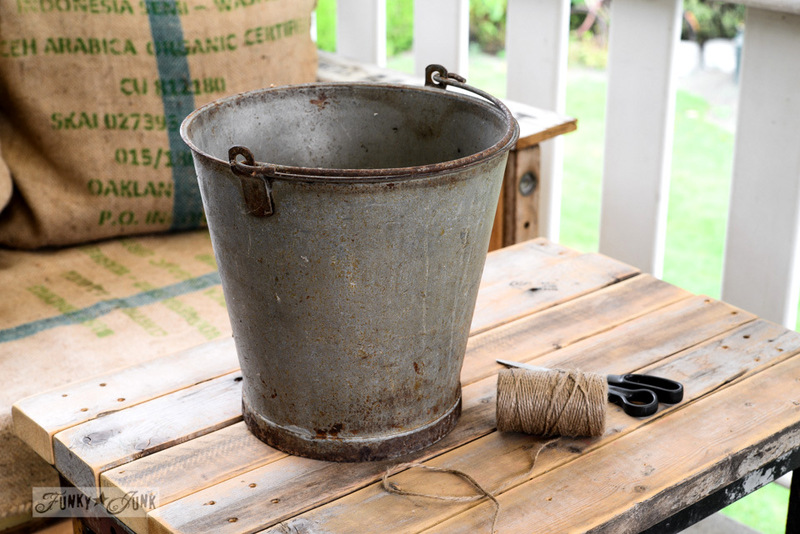 Grabbing the buckets I had in my stash, (some for sale on the weekend… sob), they got tied to the ladder with twine. 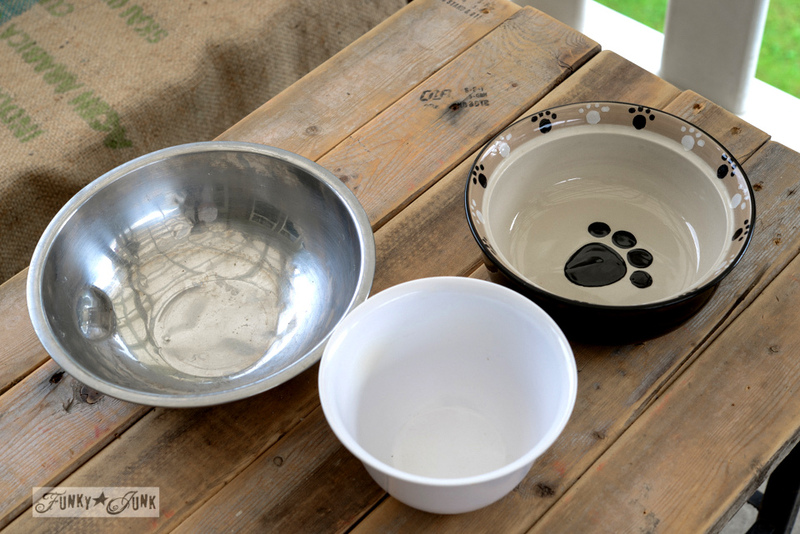 A bowl of water was placed inside each container. This will help the hydrangeas dry wilt free. 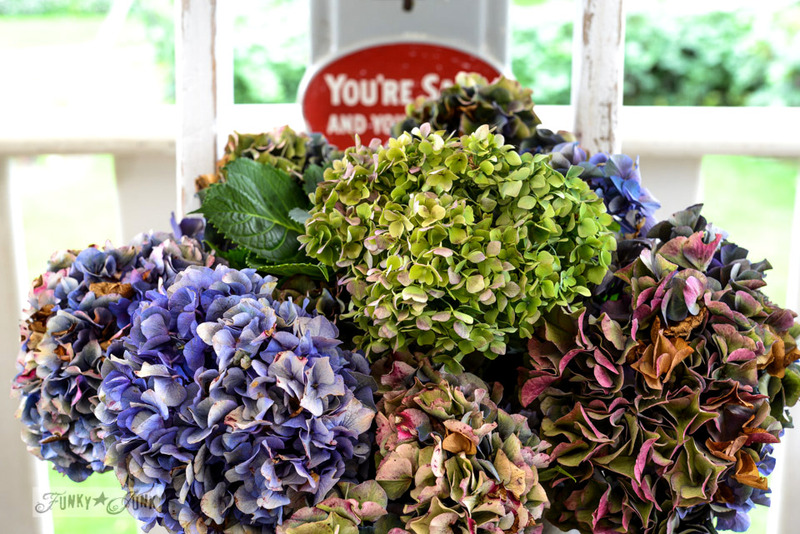 More on how to dry hydrangeas is HERE. 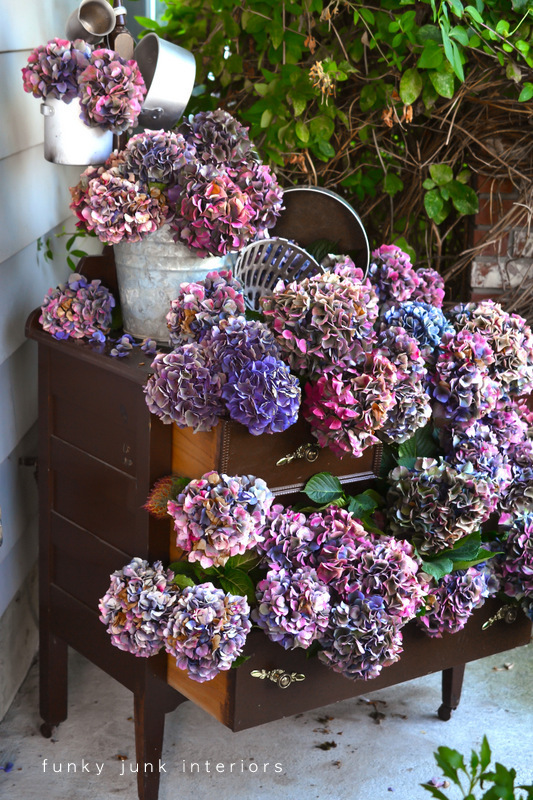 Amazing, abundant multicoloured hydrangeas that will dry just like this. That I don’t need to water! It just doesn’t get much better than that. 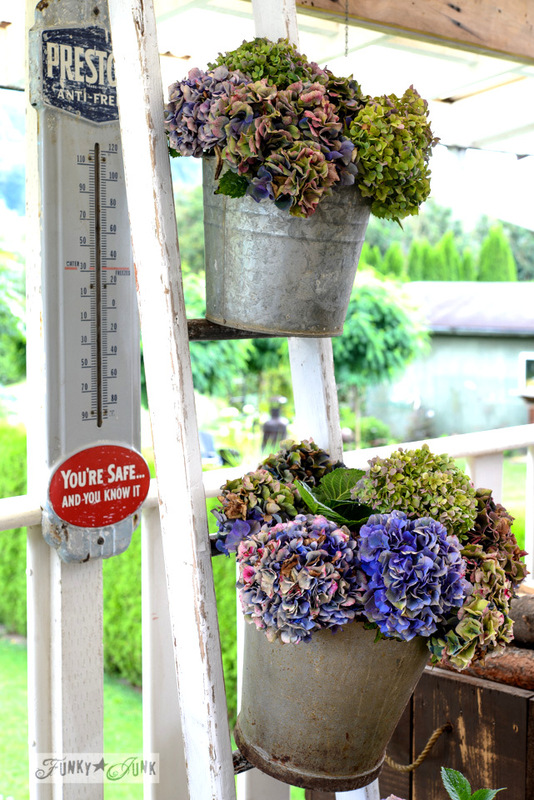 My forever beautiful buckets of hydrangeas on a ladder are perfect! And now I can enjoy my AM coffee without having to avoid a certain ladder. Here’s what I did with my own hydrangeas last year. 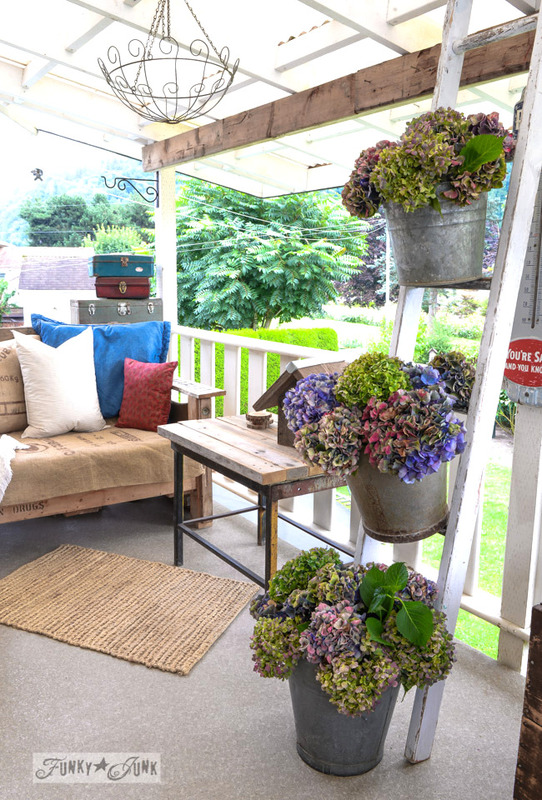 And here’s what I did with Jake and Janette’s hydrangeas last year. I do believe doing something over the top with hydrangeas is going to become a tradition! 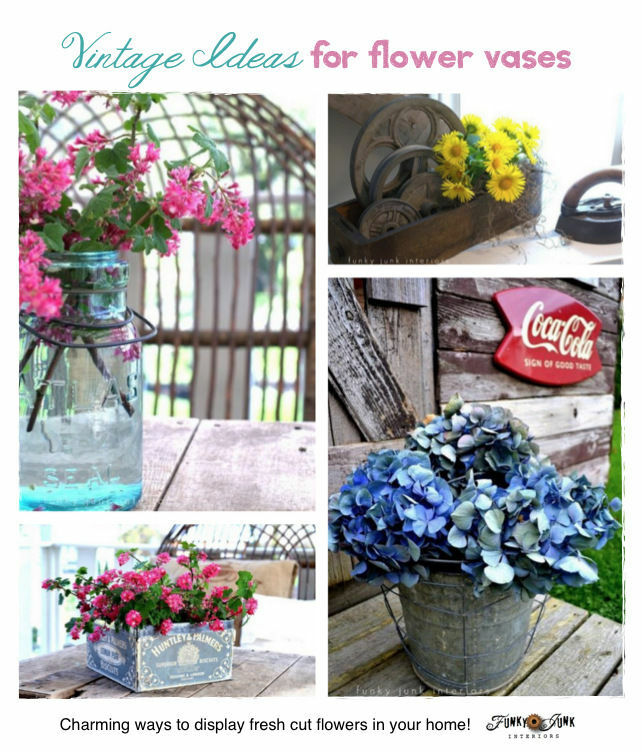 And on a related note, I have a new guide written with ways to display flowers, vintage style! 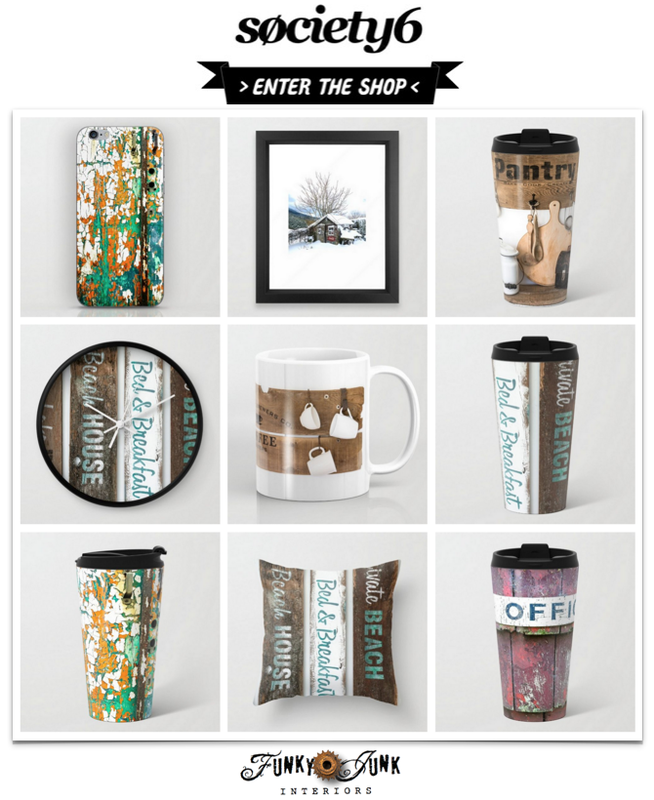 The writeup includes where to find all these great containers too! Click HERE to visit. 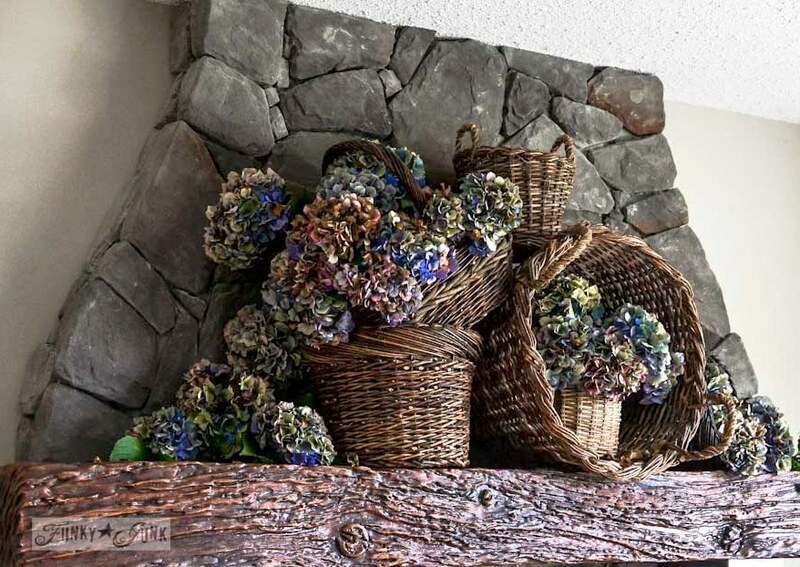 So you have any hydrangeas ready to harvest yet? What do you like doing with them? 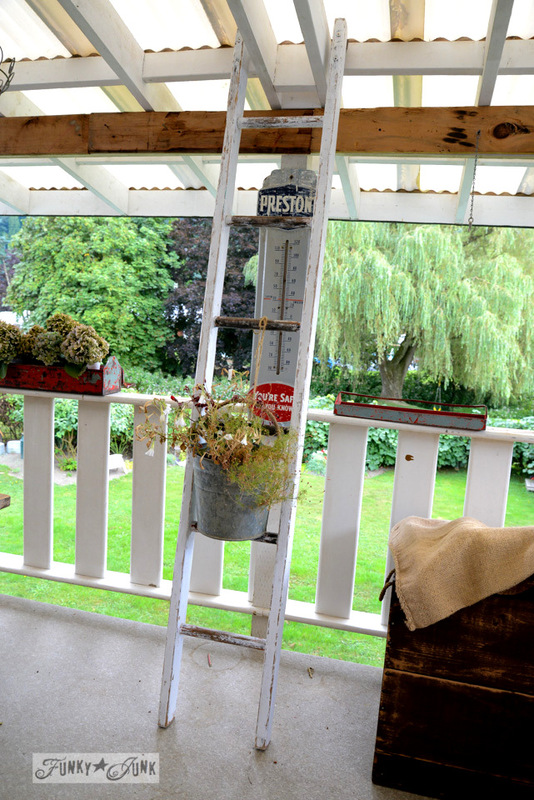 If this isn’t the most gorgeousness one ladder can hold, I don’t know what is! Wowsers! What a haul. I was just eyeing my hydrangea yesterday and thinking I need to harvest those blooms. 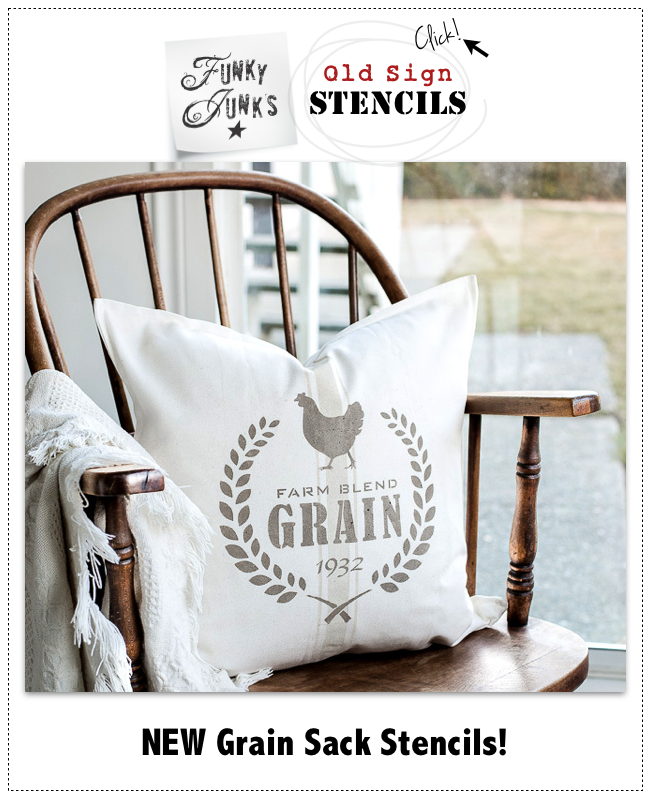 I did last year and I am still enjoying them in my home, they reside in an ironstone bowl on my coffee table. 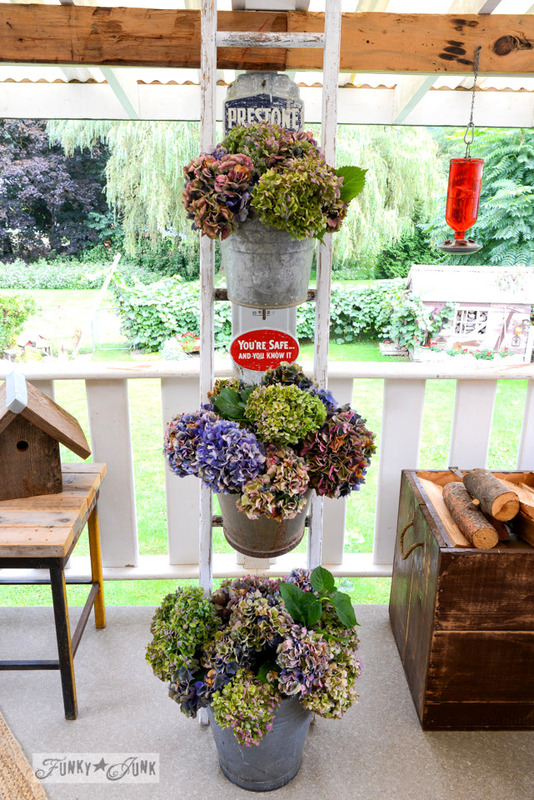 Love the bucket and ladder idea. I may have to “borrow” it. 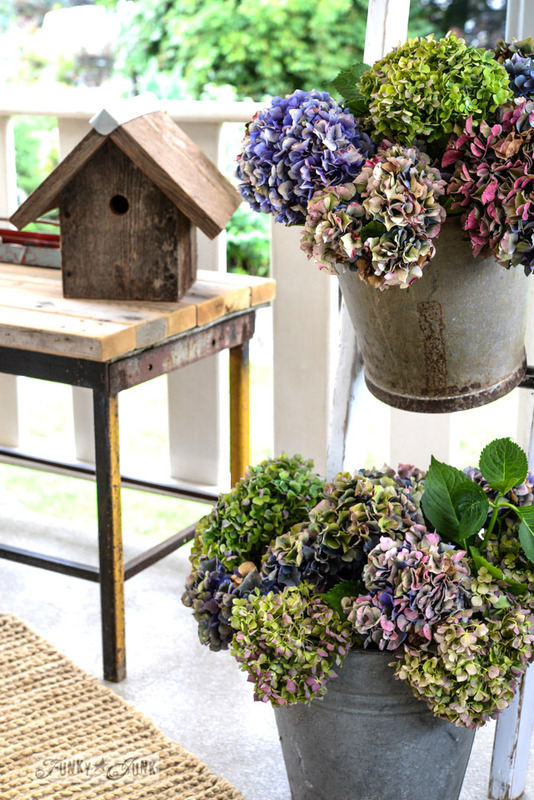 I absolutely love dried hydrangeas! My bush let me down this year (probably pruned it at wrong time last year) so I am envious of your haul. They are beautiful!!! 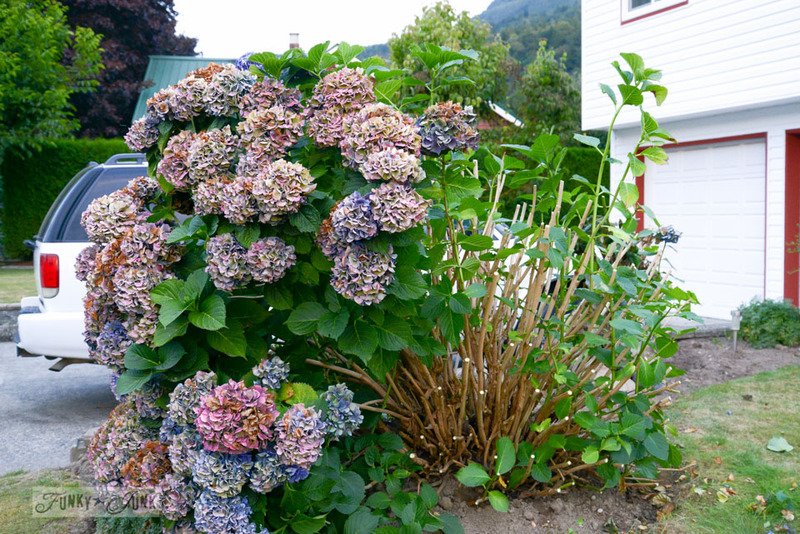 So Gorgeous–for some reason we had NO BLOOMS on our hydrangea this year! I have heard lots of others didn’t either–JEALOUS, but thanks for sharing so I can enjoy yours! 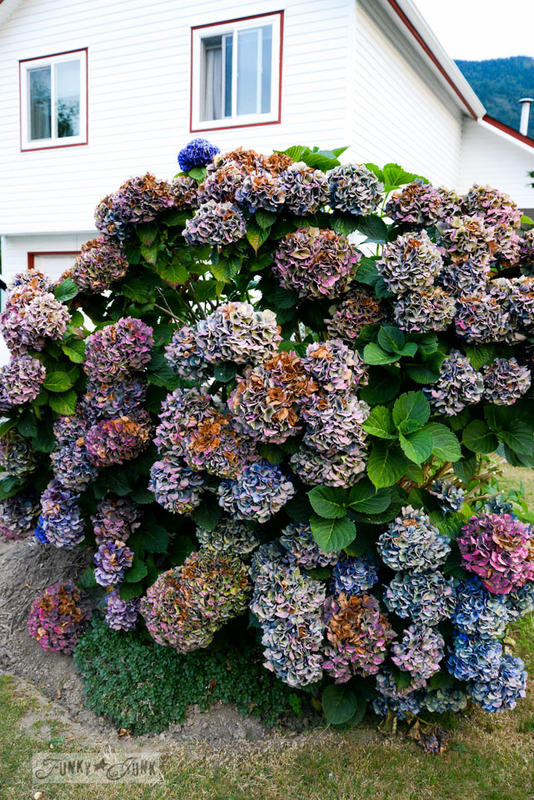 The hydrangeas on that bush are so gorgeous! The ladder is such a fun display for them too! I can’t believe how many different colors of flowers there are on that one bush. What kind neighbors you have. Do you fix up a special little bouquet for them as a “Thank You”? Lucky Girl! 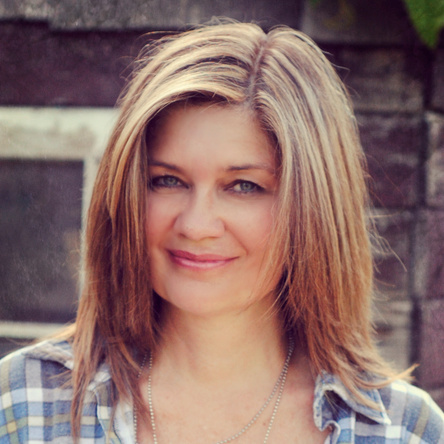 Fantastic my seester, lovely, great job, now to cut mine down, you inspire me! Oh Donna … you are so lucky to have those beautiful flowers. Would love to be able to grow them. Look so good on you ladder. 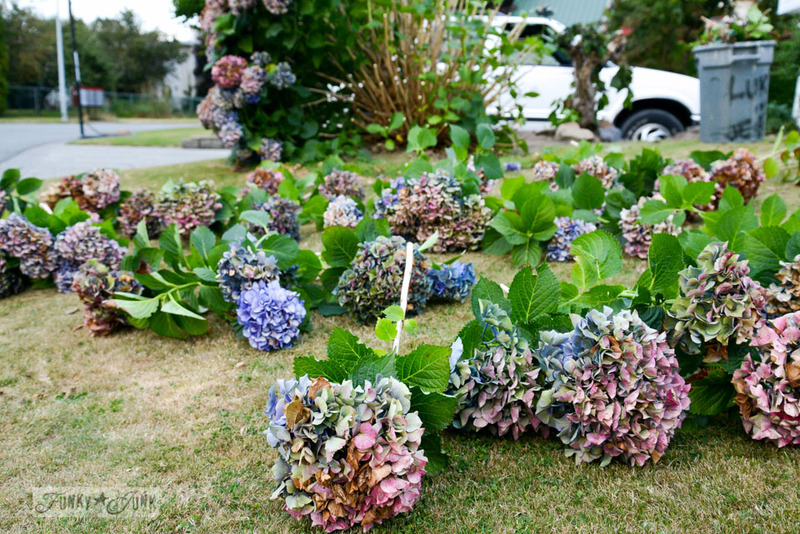 Donna, I am SO, SO, SO VERY jealous of your hydrangeas! My absolute most fave flowers and it’s too hot to grow them here — but I try! My bushes peak in late May with flower heads about the size of a softball. 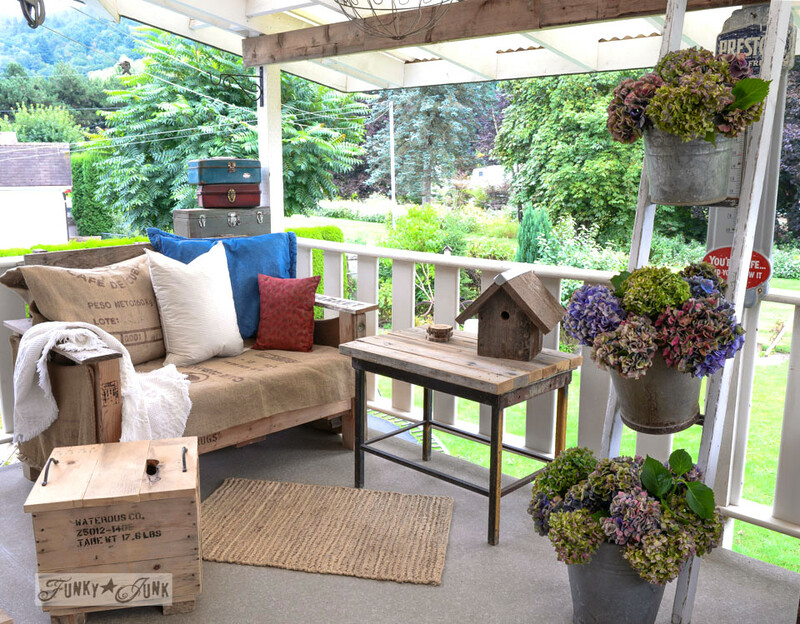 One day I will live where I can grow them like Jake & Janette…Peace. I was disappointed when my bushes didn’t bloom in time for my granddaughter Kate’s wedding in July. We spent a small fortune buying them for her wedding. Now, here in middle Tennessee, my bushes are blooming! I dried so many from Kate’s wedding for various projects. I have to share the funniest thing concerning my dried hydrangeas. I had placed a basket on my back porch on a table, only to find one of my leghorn hens using it for a NEST! She would only lay her eggs in that basket and did so for weeks, until the two kittens took it over for themselves! 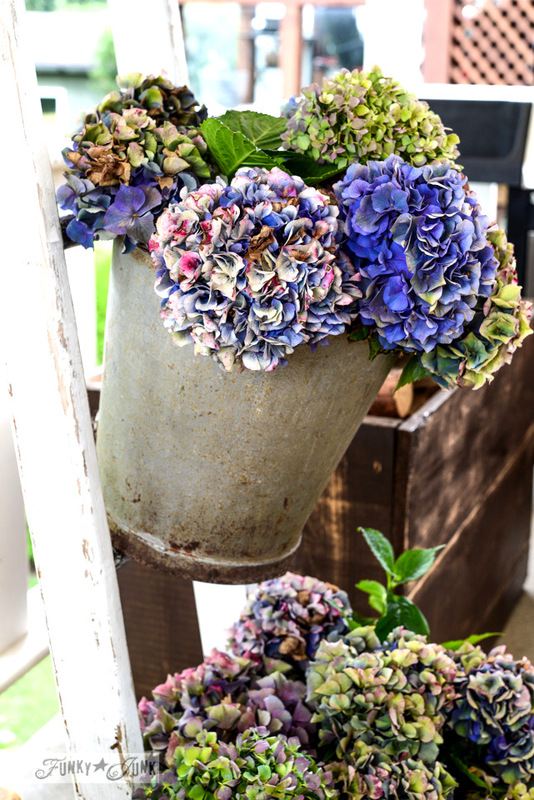 So, who doesn’t love the hydrangea! I am looking out the window as I type at my neighbor’s beautiful white bush that they will be pruning soon. I guess I will take a dozen fresh eggs over in exchange for her dried flowers! Happy pruning y’all.